Getting LTL rates are a lot easier today, especially for businesses that only need to move a single palette of freight. There are multiple approaches with most having some drawbacks. The appropriate strategy can mean the difference between profit and loss. It starts with the need to get the best and most accurate LTL rates right from the start. Online is one way to get a freight quote, but you have to be careful. There are thousands of LTL carriers and dozens to choose from. Trying to vet the best carriers can become a time killer. You might think Google or Bing will give you a list of the best carriers. Unfortunately, that’s not the case. What you’ll find on a search engine is a list of companies that have good marketing. Now good marketing doesn’t mean a bad service, but it certainly doesn’t mean you’re going to get the attention you need and deserve. If you’re doing dry runs, an online search might work just fine, but it isn’t cost effective for a steady flow of freight. For regular shipments finding a brokerage partner will likely be your best option. You might also hear them called third party logistics firms. Companies like these have partnerships with a vast and diverse field of carriers. This allows them to quickly find the service, rates and service area best suited for each delivery. 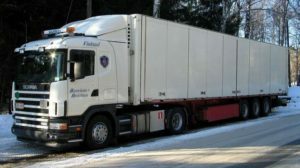 Plus they’ve already negotiated with the carriers and done the research into important factors like accident history, insurance credentials and certifications for specialized material hauling. For the company working with a freight broker, getting shipments out the door efficiently and for a low rate becomes the norm. It’s a big benefit for manufacturers and importers who move freight on a steady basis. Online or email is good for an established relationship. You know the broker or carrier and the process they follow for online freight quotes or email requests. As you’ve also worked with them before, you know what they need, so you’ll probably supply all the info they need. An online form or email allows you to get the info over and get on with your day while you wait for the freight quote. If it’s a new carrier or broker you plan to work with, pick up the phone and make a call. You’ll be able to ask questions without a lot of back and forth. Plus, you’ll be able to answer the questions about your shipment. It’ll save a lot of time for the shipment just to make the call. First time calls to new carriers also support the benefit of working with a broker. With the broker, you make a call the first time and then you can send email or complete a simple online form for later freight quotes. That even goes for when you might work with a new carrier. Your broker will do all the vetting, so getting your freight shipped, even if you have very specific freight needs gets a whole lot easier.